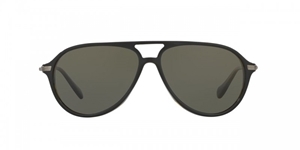 OLIVER PEOPLES BRAEDON OV5340SU 1441/P1 IS AN ACETATE FRONT AVIATOR IN BLACK WITH OLIVE TORTOISE REVERSE,ANTIQUE PEWTER SIDES G15+ POLARIZED GLASS. THE STYLE IS INSPIRED FROM A LATE 70'S PILOT FRAME. THE 1441/P1 HAS A 60 SIZE EYE SIZE AND HANDMADE IN ITALY TO THE HIGHEST STANDARDS.